Aran’s mother is a selkie, a being who morphs between human and seal shape, but Aran was born without a pelt and can’t join his mother and the rest of the selkie clan as they explore the ocean. Placed in the care of a human woman when his mother goes away, Aran struggles to keep his true identity hidden while simultaneously helping the humans who become a part of his life. This middle-grade book by Portland author Emily Whitman will appeal to readers who enjoy a dose of fantasy. A beautifully written coming-of-age story. Readers who loved Kelly Barnhill's The Girl Who Drank the Moon and Pam Mu oz Ryan's Echo will be transported to the place where the water and land meet in this exquisitely crafted coming-of-age tale about a selkie boy. 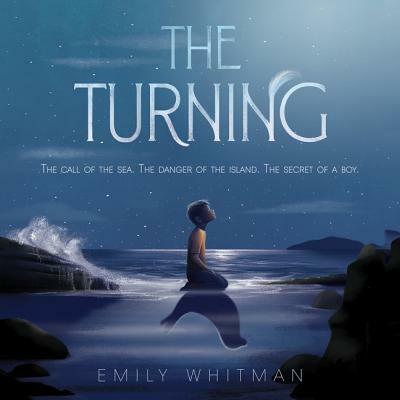 When his mother undertakes a journey to the far north to seek help, Aran is left in the care of a reclusive human woman on remote Spindle Island. Life on land is full of more wonders--and more dangers--than Aran could have ever imagined. Soon Aran will be forced to decide: will he fight for his place on land, or return to his home in the sea?